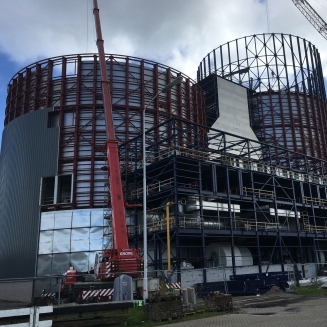 At the end 2017, we finalised the expansion of the malting plant of Bavaria subsidiary Holland Malt in Eemshaven. All the stops have been pulled out to be able to complete the construction of two new malt towers within one year. The new malt towers have a height of 54 and 32 metres. The highest one has three sprouting boxes, the lowest one only two. An ingenious transport system is situated between the towers and the silo.